My fav watch face hands down. Not only because I like ST, but it shows my steps, the time, battery life, and cal burned all at once. The Starfleet emblem displays when the watch is synced, so it reminds me to sync when it disappears. I really love this. It packs in a lot of great info and easy to read. And great ST theme! Thank you!! So iam guessing the bats on the bottom left is the battery level? First thing I downloaded once I received my vivoactive! Love it, great layout! Loved LCARS v1. 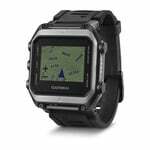 Can you please bring that back for Garmin Vivoactive? It was my favourite thing about my watch. V2 is harder to read at glance. I like that the insignia disappears when Bluetooth is disconnected but I still miss my old face. I'll totally send u a donation to bring it back! LCARs Version I was much easier to read. Please bring back the first one so we can at least choose. 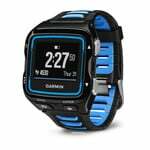 Just got it for my Garmin vivoactive, looks awesome! My favourite watch face! Has everything I need! I notice the logo drops off every now and then, but reappears once you sync. Really Really good watch face i love it ! only on the 920xt there is no Starfleet logo on the left. The only thing I miss was the seconds ticking by, but other than that. I find this display awesome! very nicely done and clean. 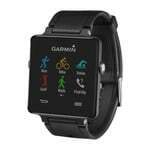 Love that it has battery, steps, easy to read time, move bars, and is STTNG!!! It's my absolut favourite clock face, but I don't use it, because I miss a symbol/text for unread messages. So please please add a symbol (e.g. colorize the starfleet icon) for unread messages!!! Then you will get five stars!!! Looks great, but all text with the excption of the time is far too small to read, even with glasses on, a magnifying glass is required! Gave me a nerdgasm. 10/10 would recommend. Wirklich absolut GENIAL!!!! selbst als nicht über drüber Star Trek Fan eine wirklich schöne Oberfläche.. ich kann sie nur empfehlen!